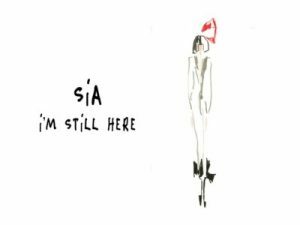 “I’m Still Here” is a 2018 single by the noted Australian singer-songwriter/record producer Sia. In this song, Sia talks about the struggles and hardships she has battled in life. The song was released as part of Sia’s new fashion collaboration with Maison Repetto on a line of signature shoes. “Movement, dance, style and freedom are the values shared by both Sia and Maison Repetto. Throughout the past year, Repetto’s team and Sia came together to creatively build a collaboration capturing the spirit of everyone who lives to their own beat,” Repetto said.